It’s that time of year already, it feels like school just got out which it did, but we have to look ahead a couple of weeks when you’ll be standing at the bus stop or waking up away from home for the first time, we unfortunately don’t sell flip flops which you’ll need for that dorm life, don’t shower without them. Don’t miss out on all the deals and steals! 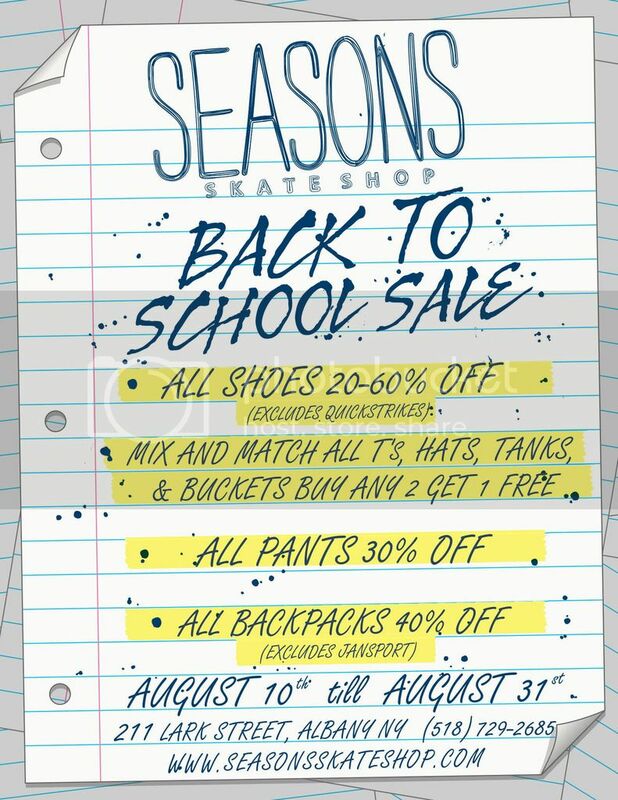 This entry was posted in Featured, News and tagged Adidas, Albany Seasons, Back to school sale, Emerica, HUF, Lakai, NIKE SB, Seasons Skate Shop, Vans. Bookmark the permalink.